These mountains have long been home to the Kootenai. One of the highest peak of the Swan Crest — 7,000-ft Mt. 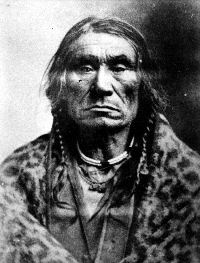 Aeneas — is probably named for Chief Aeneas Paul, of the Dayton Creek band of the Kootenai. He is believed to be one of the negotiators of the Hell Gate Treaty of 1855 and an interpreter for missionaries such as Father Pierre Jean DeSmet. Other place names nearby — like Broken Leg Mountain, Lamoose Lake, and Baptiste Peak — reflect the names of Kootenai leaders from the mid-to-late 1800s. Click here for a PDF copy of the booklet "The Lineage of Chief Aeneas: A History of People and Place." Say “swan” and you might think of the graceful, snow-white waterfowl that pass through the Flathead Valley wetlands. But the Swan Range was most likely named for the Swan family, early homesteaders in the Swan Lake area. The Bob Marshall Wilderness is named for the famed Forest Service footman from New York. Marshall’s nearly boundless energy championed the idea that forests were not only good to be utilized for timber and grazing, but that some places were best left for nature and for people to enjoy quiet, solitude and physical challenge. Marshall roamed here in the 1930s. One of Marshall’s epic hikes started from Echo Lake and continued to Spotted Bear Ranger Station — in a single day. Click here for a PDF copy of Bob Marshall's area hiking journal! The Swan Range has inspired Montanans for decades. Here’s an example from a sermon by Rev. Eugene Cosgrove, Helena, Sept. 14, 1919. Lakeshore Country Journal Stepping Out in the Swan Range archive. ~ Articles about the cultural and natural history of the Swan Range!